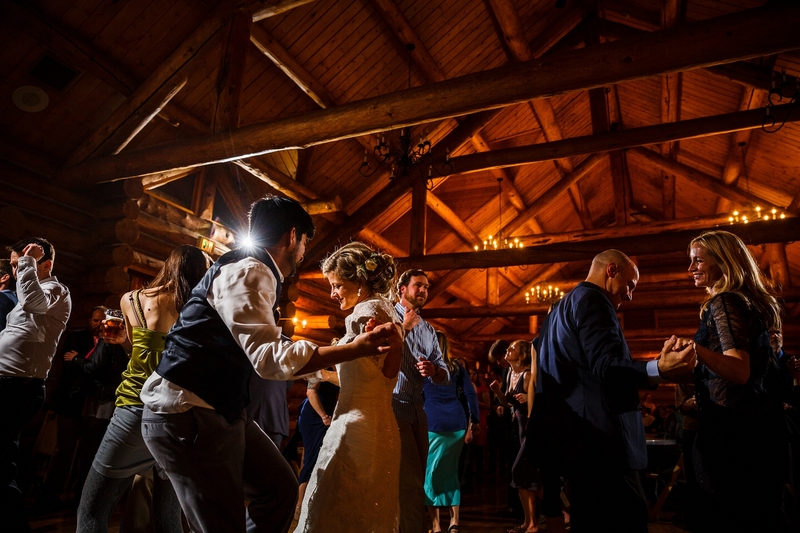 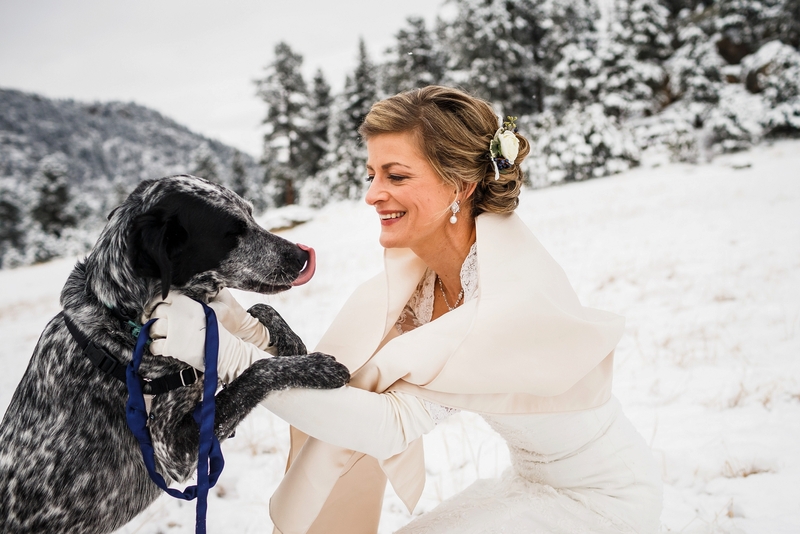 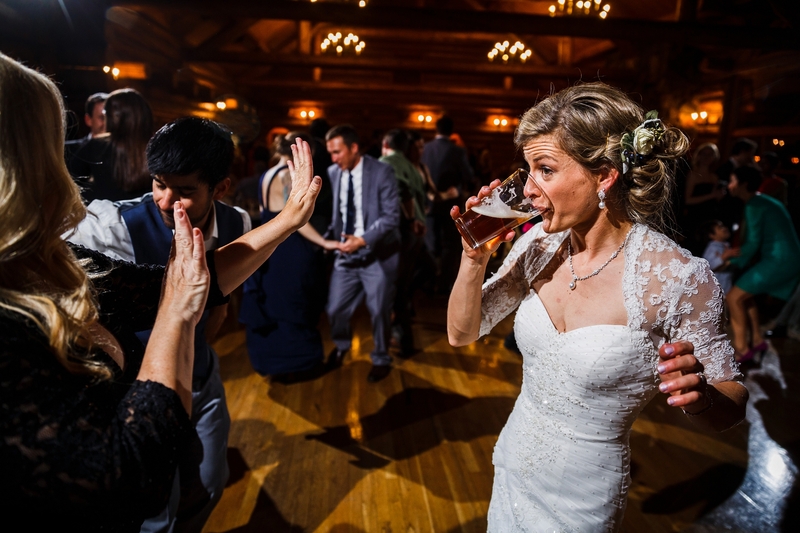 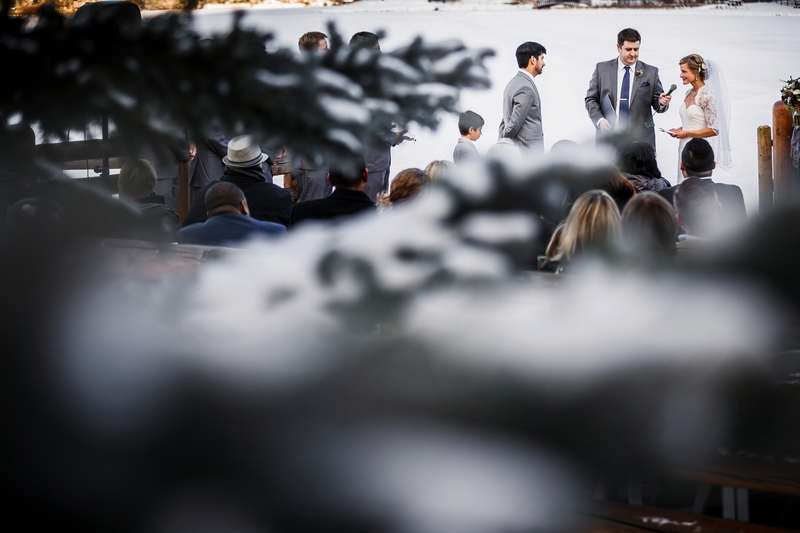 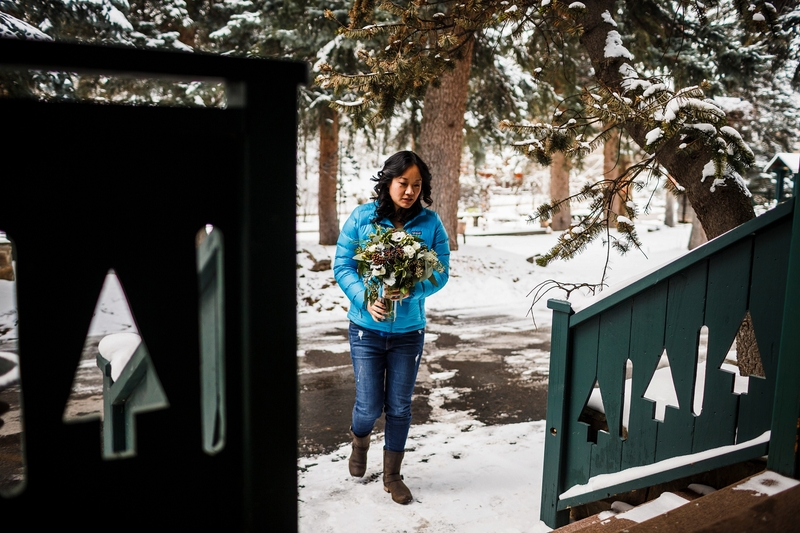 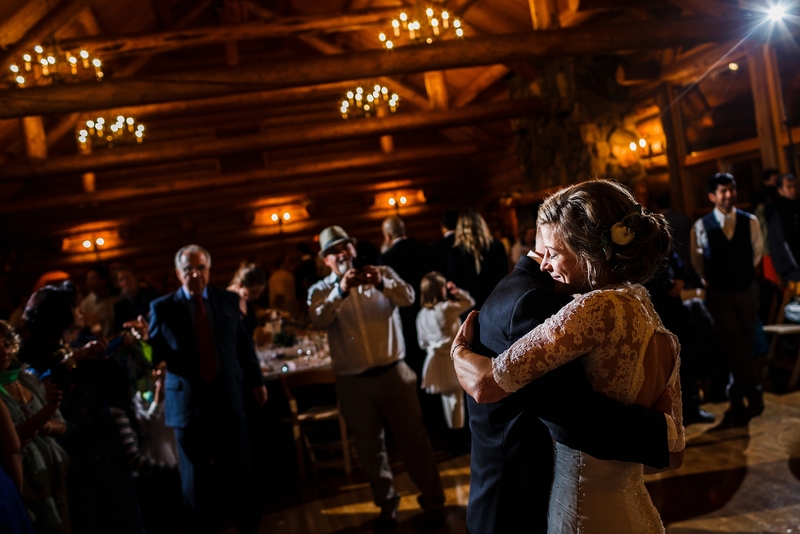 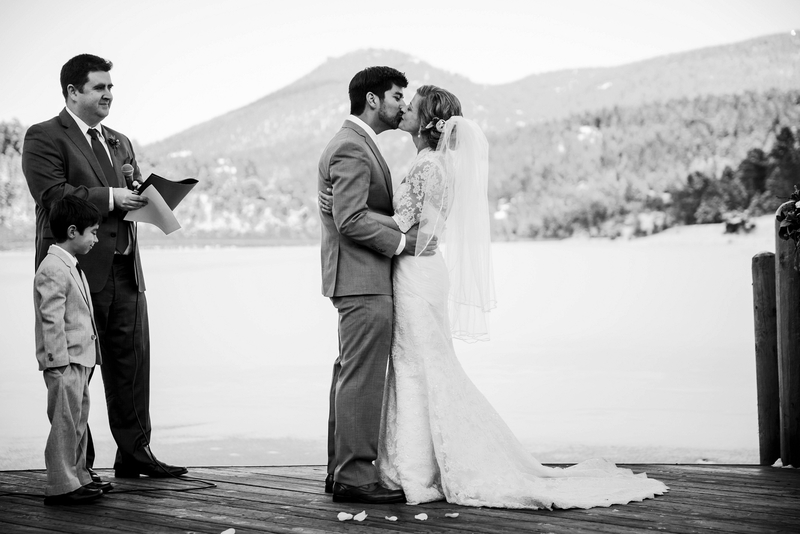 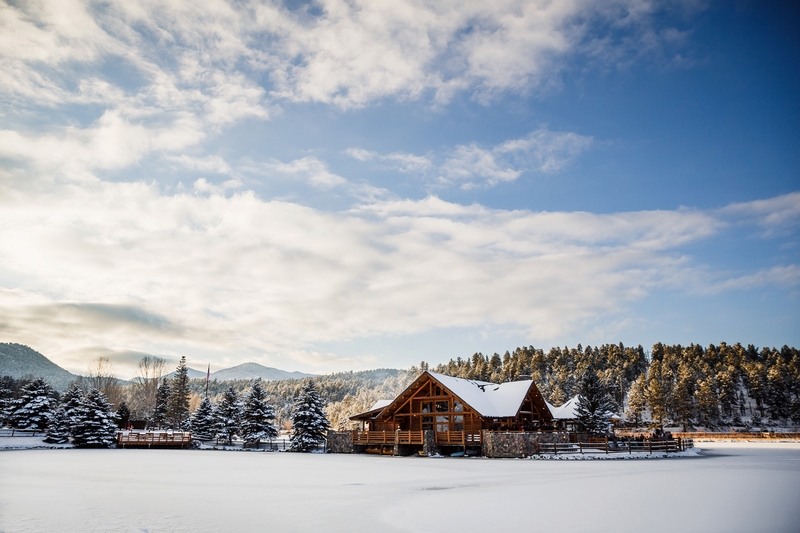 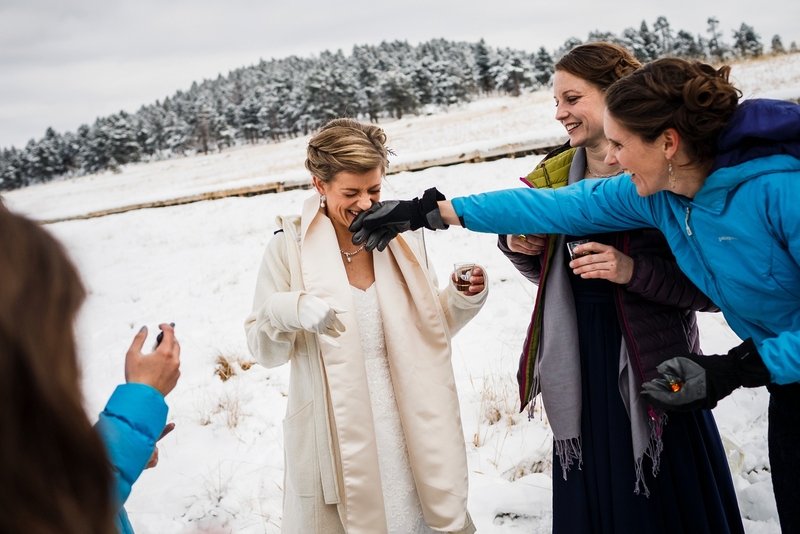 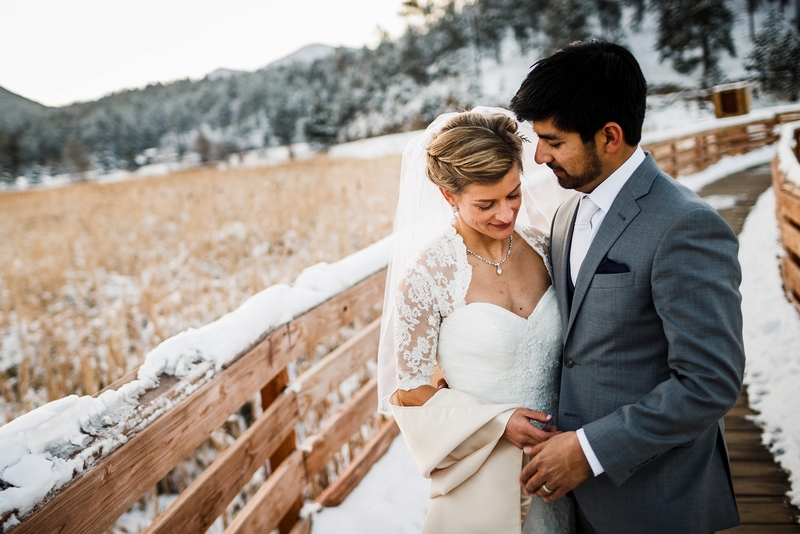 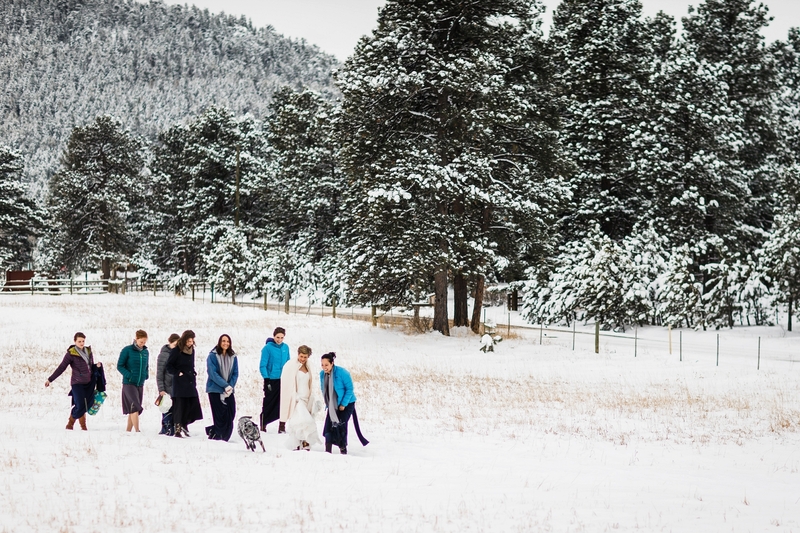 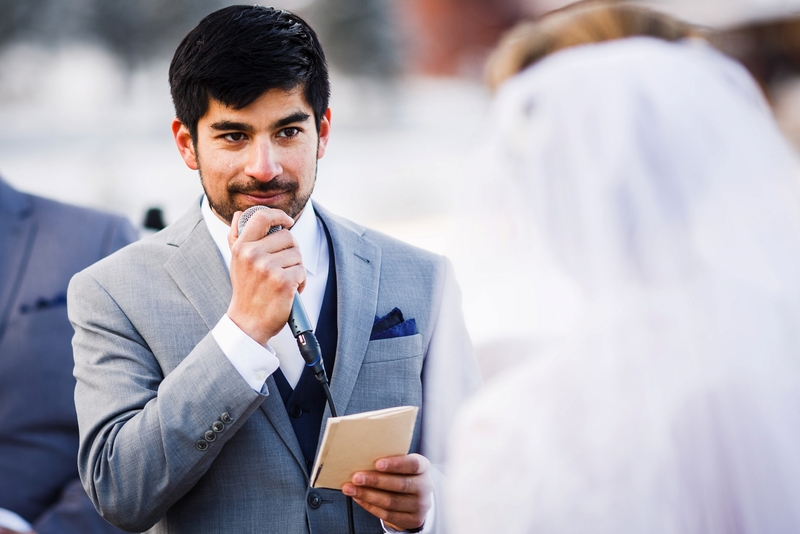 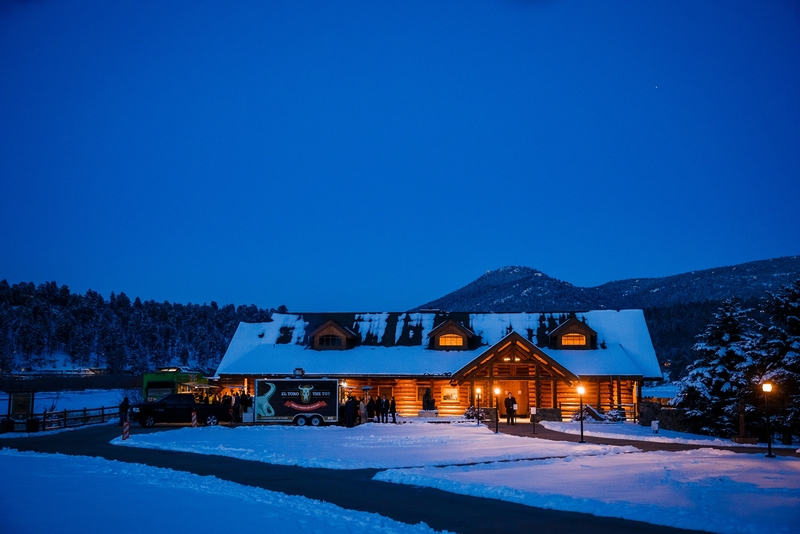 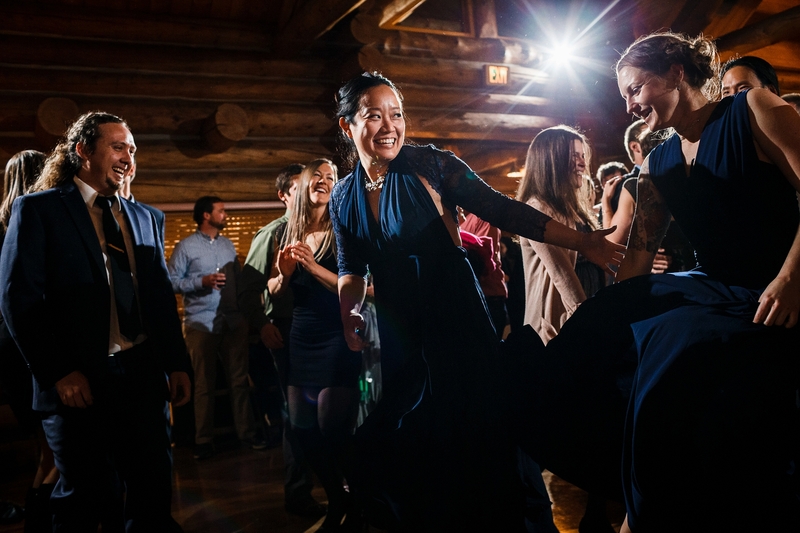 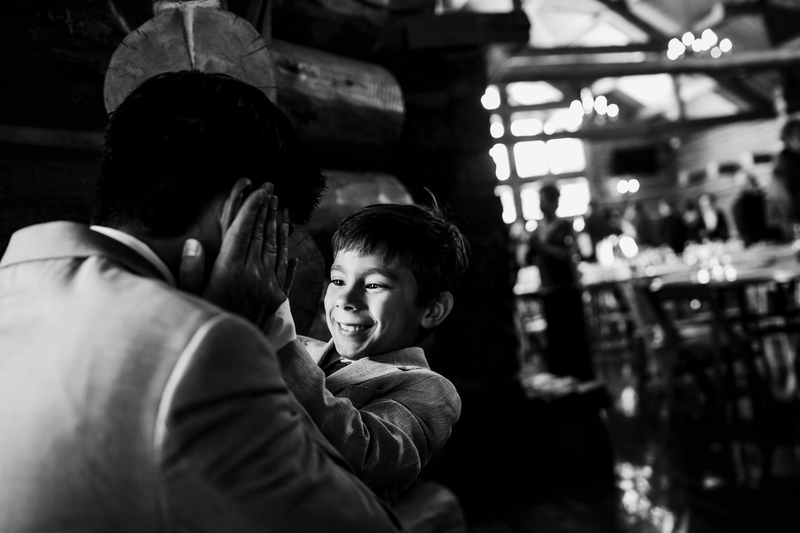 March is such a hit or miss month for weather in Colorado, which is why Juan & Carolyn decided to take a gamble with their Evergreen Lake House Winter Wedding. 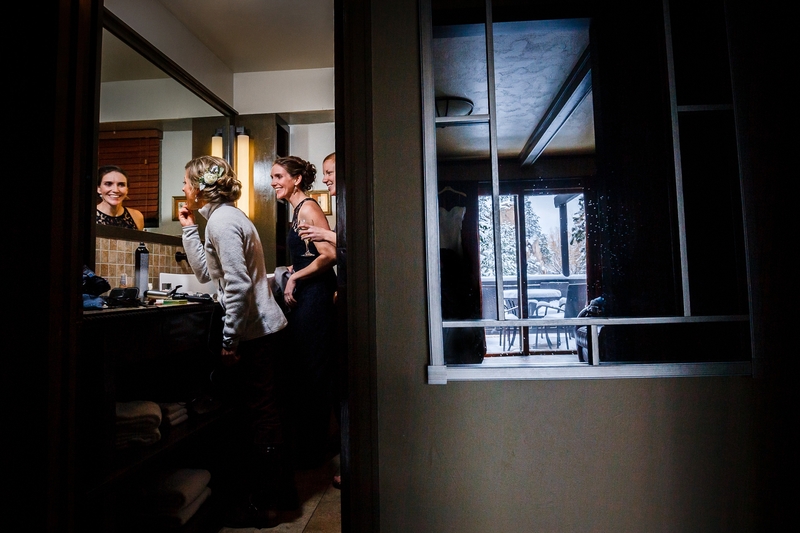 Regardless, they were going to get married, outside… No questions asked. 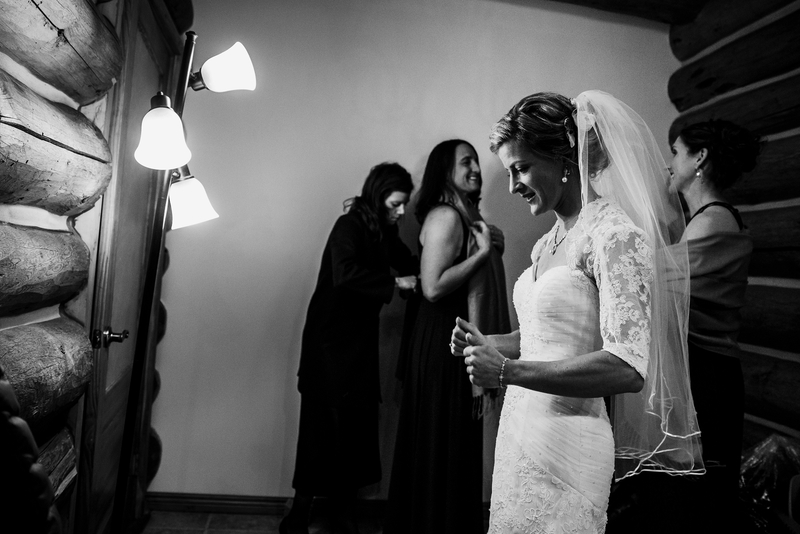 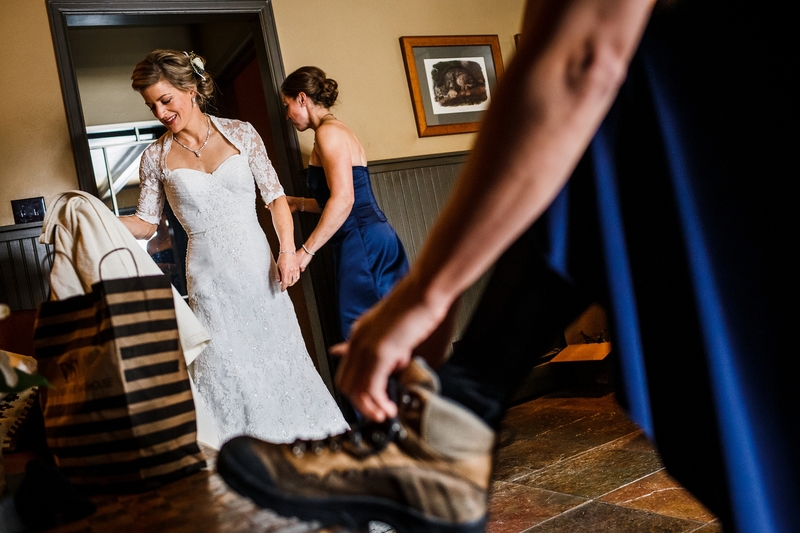 Carolyn’s initial idea for putting on her wedding dress was to do it in the wilderness, right after bouldering with her bridesmaids, who all happened to be well versed climbers themselves. 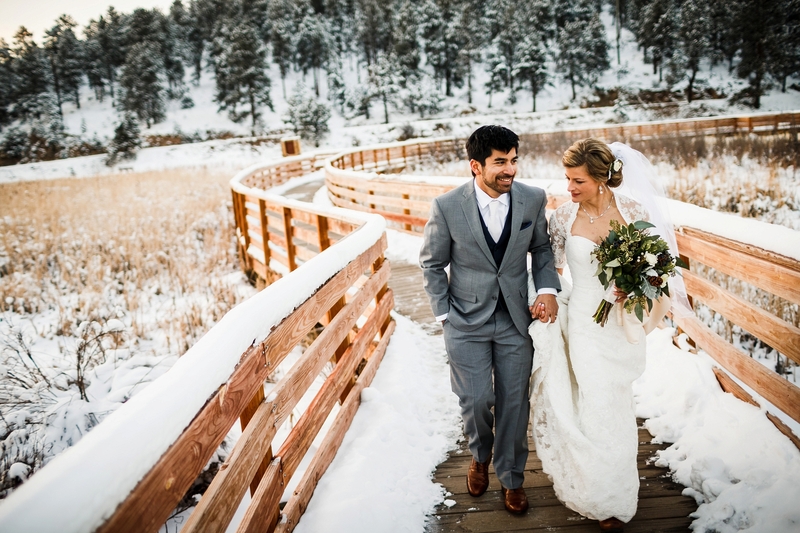 Mother nature had different plans which included several inches of snow and sub freezing temps. 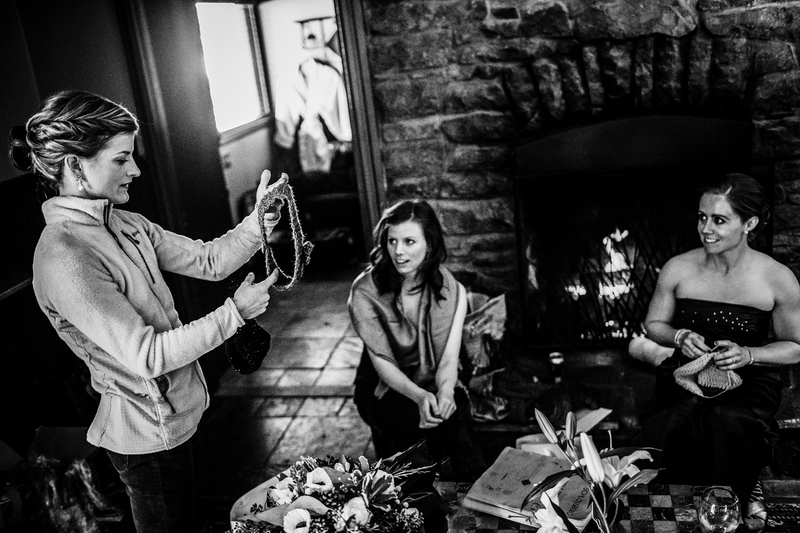 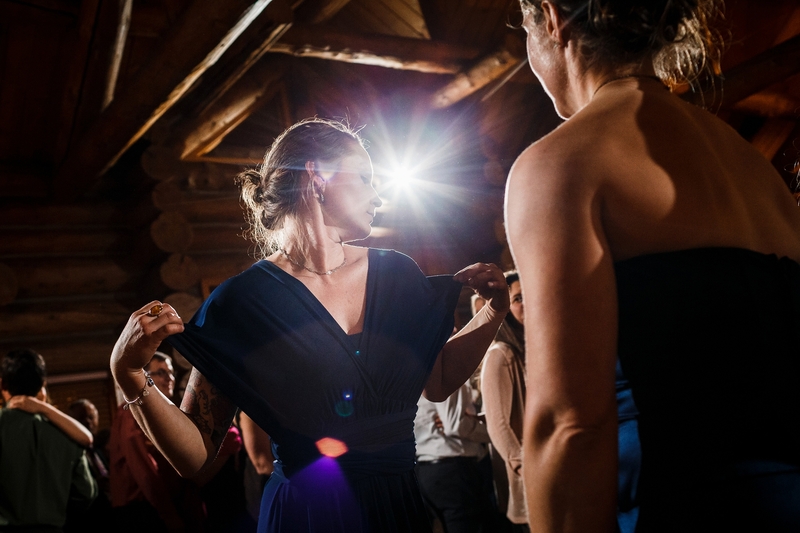 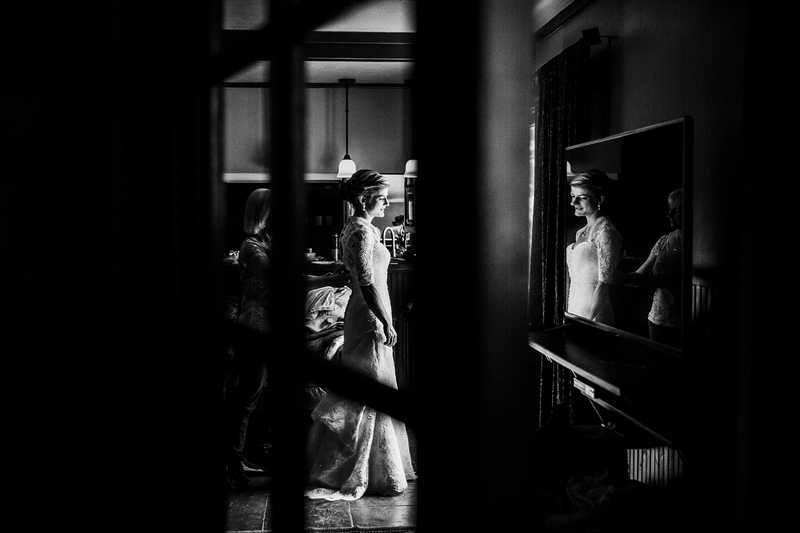 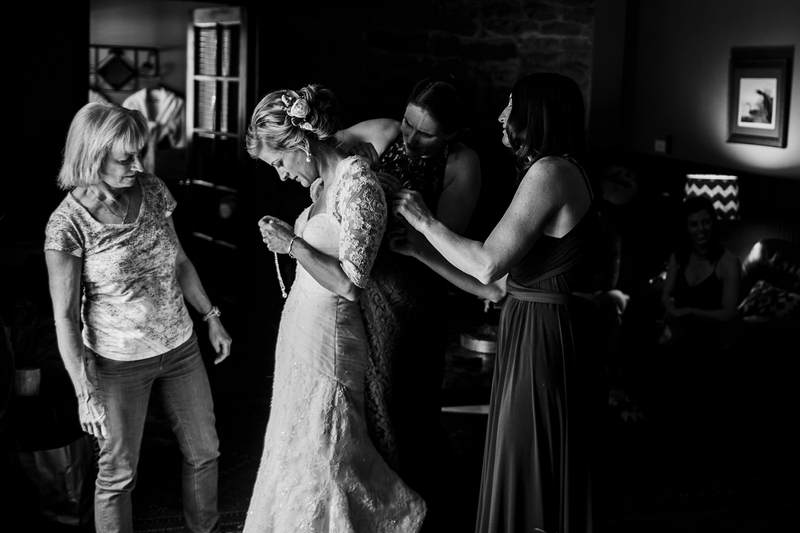 It didn’t stop her and her bridal party from making it to the boulders, but the adornment of the dressing was done indoors. 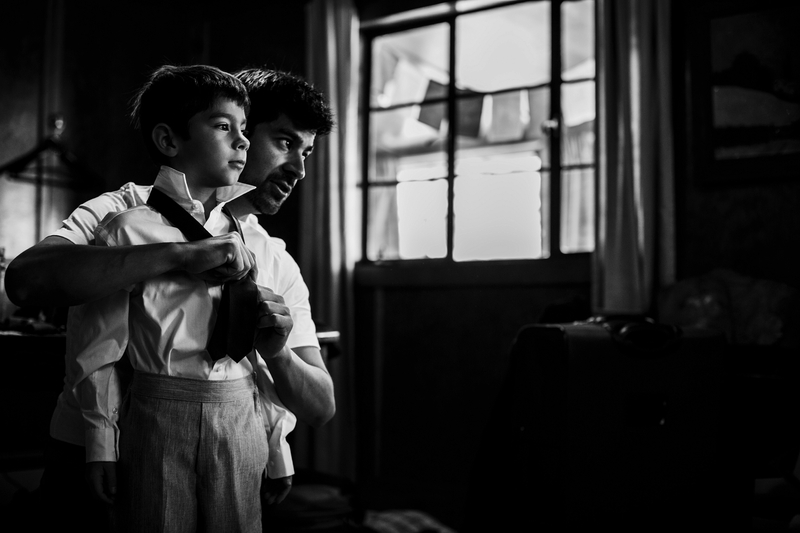 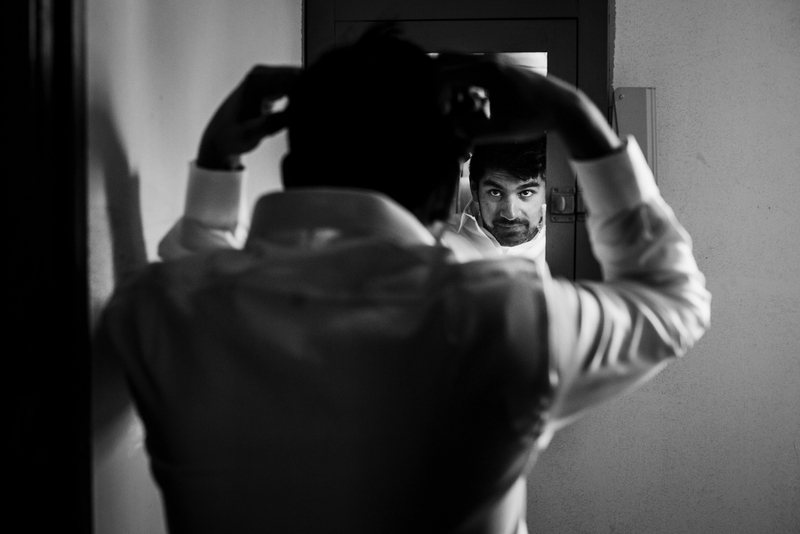 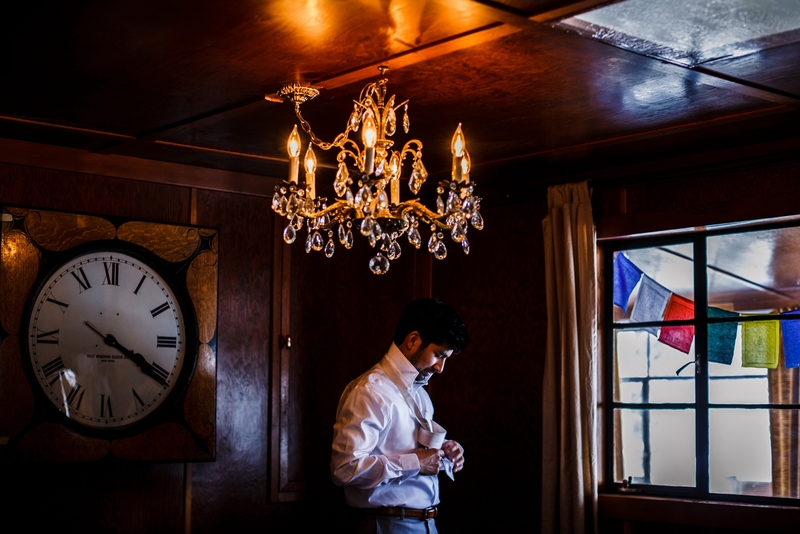 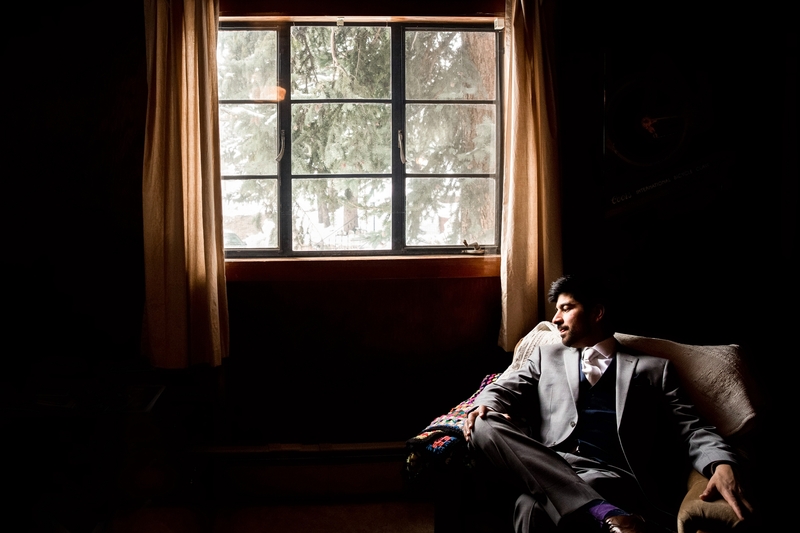 Juan and his guys also got ready in Evergreen before heading to the Evergreen Lake House for his nuptials. 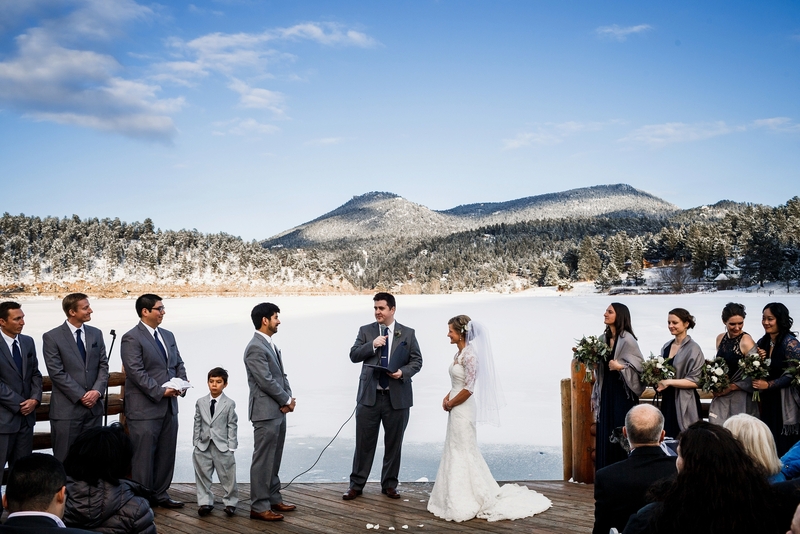 Waiting for their guests were heaps of blankets and sleeping bags to provide a little relief from the biting cold while Juan & Carolyn stood before everyone during their wedding ceremony. 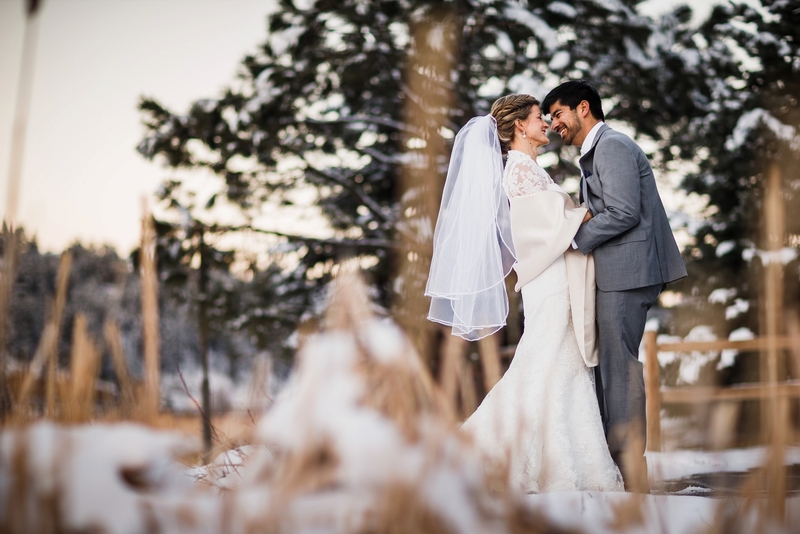 After some heartfelt vows, the couple headed inside for some hugs and kisses from family, and then we made our way back into the frigid cold for a few portraits. 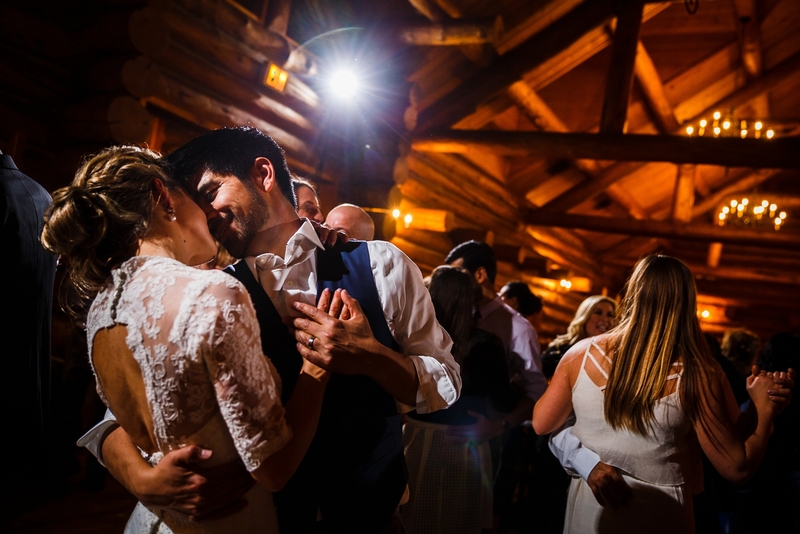 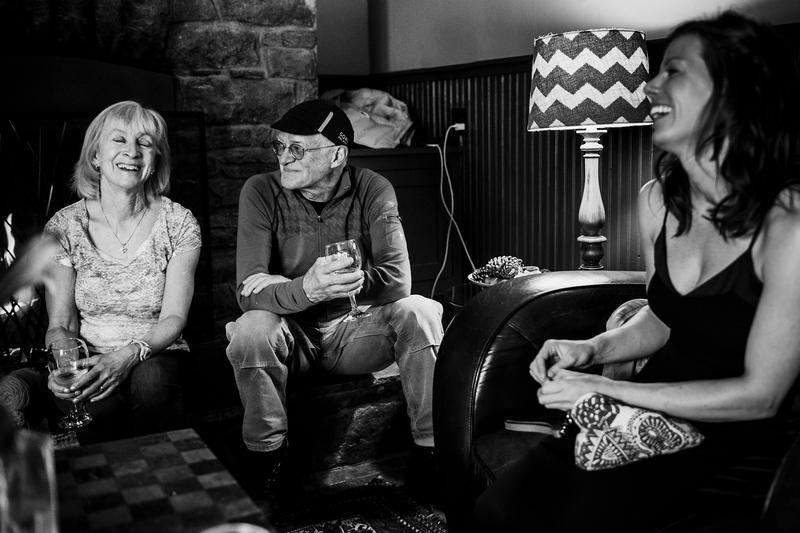 After enjoying some exotic hamburgers and fish tacos, downing a few craft brews, Juan, Carolyn and their entire group of friends and family got down to a live string band… which rocked the Lake House for several hours on end. 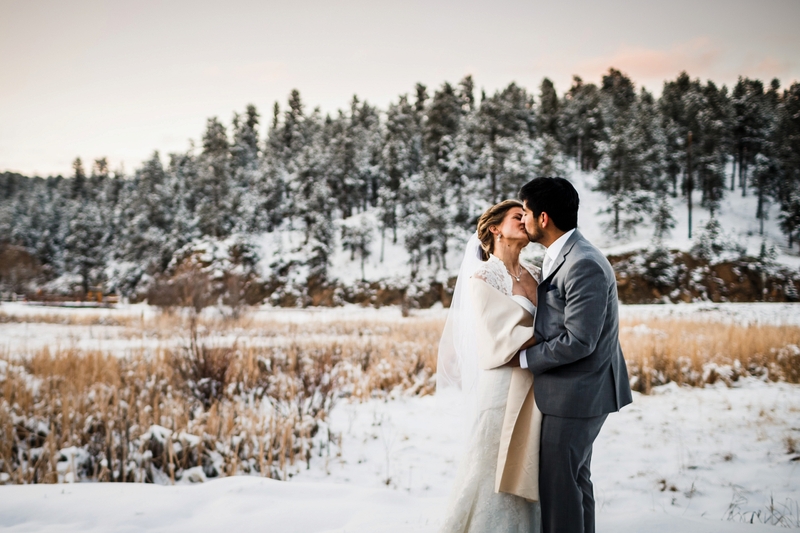 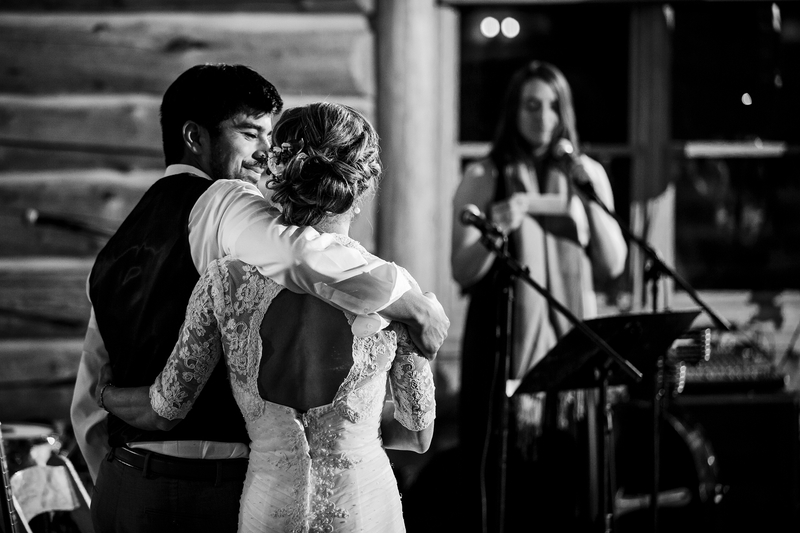 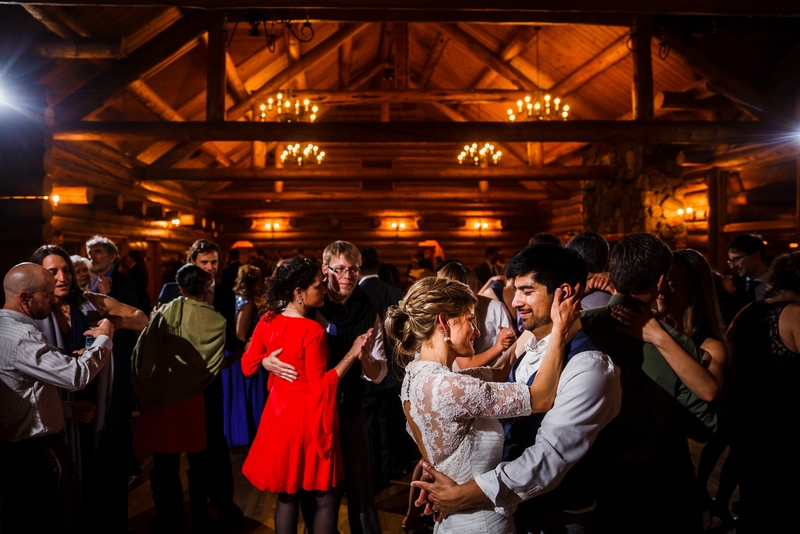 Thanks again you two for letting us capture your Evergreen Lake House Winter Wedding. 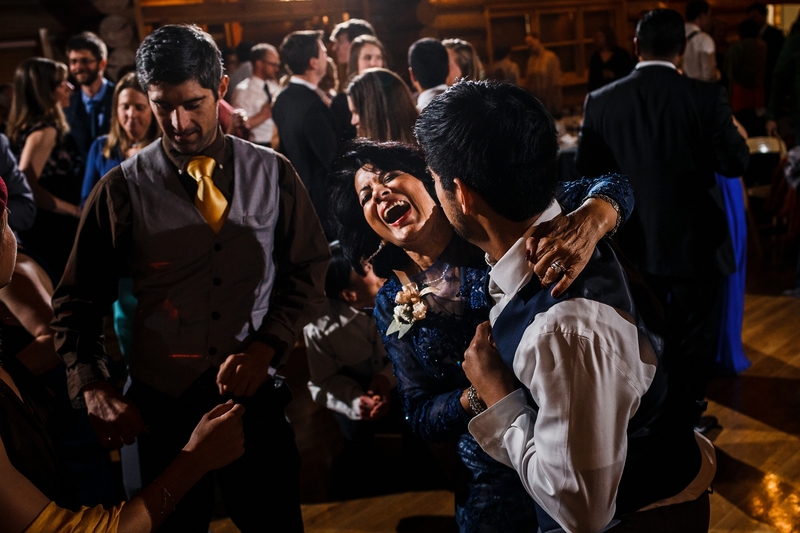 As always, a shout out to LaDolce Events for the work on this wedding.